Jonathan Klein joined Rich & Cartmill, Inc. in January of 2018 as part of the Howell-Stone Insurance, Inc. merger. 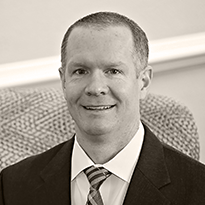 After graduating from the University of Central Oklahoma in 1999 with a degree in business education, Jonathan began his insurance career as an underwriter with the Mercury Insurance Group. After thirteen years of underwriting commercial insurance with Mercury, he was an underwriting supervisor with CompSource Mutual Insurance before joining Howell-Stone Insurance in 2014 as a commercial producer. Jonathan believes great customer service is the key to success in the insurance industry. Jonathan lives in Edmond and attends Holy Trinity Lutheran Church.